When we do so much reading on the web, a little thing like the line height can make a huge impact on how comfortable text can be to read. So much so that a site with a line height that’s too tight or too loose can turn you off for good. While all modern browsers have built-in accessibility features that let you alter the font size of websites, none of them have built-in features for adjusting the gap between lines. For that, we’ll need to install a simple Chrome extension. The Line Height Adjuster Chrome extension can help you improve the readability of a website by giving you some control over the line spacing. The Chrome extension uses a simple slider to adjust the height. Let’s put it through its paces. Install the Chrome extension from the Web Store. Open the webpage whose readability you want to improve. Click the Line Height Adjuster icon in the toolbar to display the slider. Move the slider and stop at a point where the height between the lines improves for you. If you need to enter a higher value, set a manual value in the box provided. Just set the value to a reasonable range. The Line Height Adjuster is meant to do just one thing. And it does it well. Today, the Chrome Web Store is packed with a gallery of extensions that improve how you browse and read on the web Reading on the Web with Dyslexia? Here's How to Make It Easier Reading on the Web with Dyslexia? 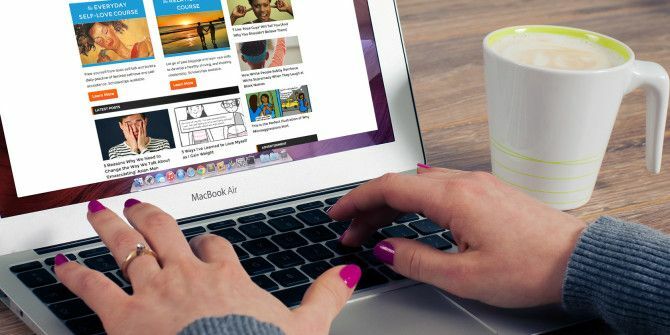 Here's How to Make It Easier Browsing the Internet is a painless activity. For those with dyslexia, it can be challenging. Let's look at a few tips and tools you can use to make your time online easier. Read More . It is not only important for dyslexics and the seniors, but for everyone else too. Explore more about: Accessibility, Browser Extensions, Google Chrome, Reading.